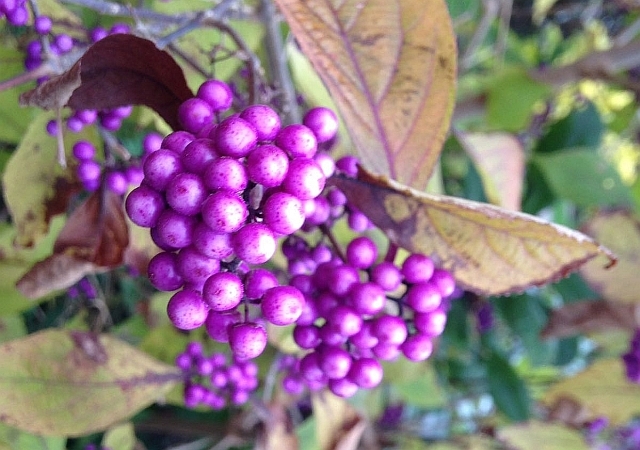 Never have I seen a more beautiful berry appear during the autumn months.. it is such a treasure of a plant. With almost insignificant flowers appearing during the summer but waiting to produce their purple metallic magic from September onwards. I have used this plant in ‘Dingly Dell’ planting schemes with a combination of evergreen screening plants to create just the right amount of seclusion with lots of colour and interest across the seasons. 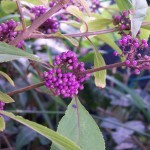 This is a ‘must have’ plant for anyone who wants beauty and colour during the autumn months and has a passion for purple! 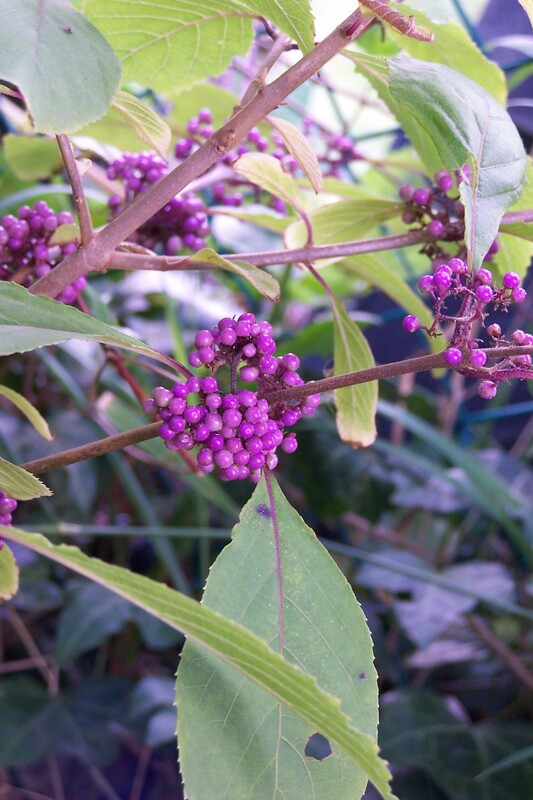 Callicarpa bodinieri var giraldii ‘Profusion’ (Beauty berry ‘Profusion’) will reach a height of 4m and a spread of 2.5m after 10-20 years. Beds and borders, Flower Arranging, Cottage/Informal. Plant in fertile, free draining soil in full sun or light shade. Provide shelter from cold, drying winds. Chalky, Clay, Loamy, Sandy (will tolerate most soil types).